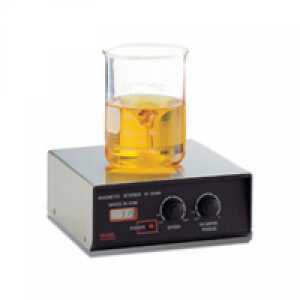 เครื่องกวนสารละลาย HI 304N-2 Magnetic stirrer with bi-directional rotation and tachometer | Higher Enterprises Co.,Ltd. When you have the need to shake a solution at a constant speed (rev / min. ), It becomes important factor of the repeatability of the test and the process that you get. Without a tachometer, this is not possible. HI 304N-2, agitator large extent, to solve this problem has a speedometer mounted LCD. Often to achieve the best results in a test is necessary to reach the maximum homogeneity and solubility of the test sample. To do so it is equally necessary to stir the liquid in both directions. HI 304N-2 is equipped with an advanced system of auto-reverse that allows to reverse the direction of agitation at the intervals selected by the user. intervals can be adjusted from a minimum of 30 seconds to a maximum of 3 minutes. Speedsafe The safety system, supplied, ensures that the stirring speed never exceeds the maximum level of 1000 rpm, even if the sample is removed suddenly without first reducing the speed manually.